Improve your shave with Gillette's renowned comfort and performance. Offering a closer shave then disposable and a tenacity that keeps the blades sharp for twice as long, the Mach3 is sleek and efficient at what it does. Five blades locked with Comfort Guard Microfins glide over the skin for an even and effortless shave. The included lubrication strip helps ease the razor over the skin and double as a tell-tale sign for when to swap blades. 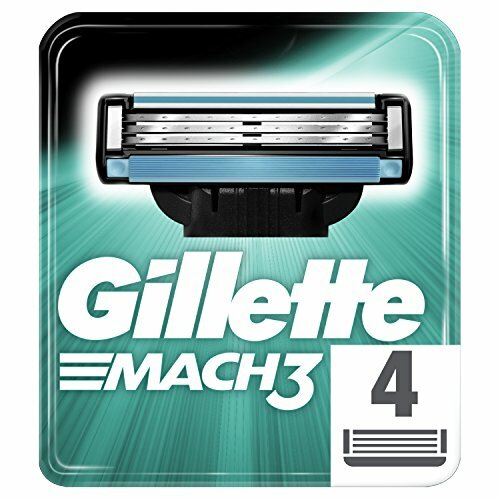 This pack includes 5 blade cartridge replacements for your existing Gillette Mach3 Razor.